Italo-Australian athlete Celeste Mucci has made history, claiming a historic double gold at the 2019 Australian Track and Field Championships in Sydney last week. The Italian-born 19-year-old became the first woman since Jane Flemming in 1994 to win both the heptathlon and 100m hurdles. The Melbourne-based teenager won the heptathlon, a track and field contest composed of 100m hurdles, high jump, shot put, 200m, long jump, javelin and 800m, over the Thursday and Friday with a good score of 5844 points. After resting on Saturday, Mucci was back in action for Sunday’s high-profile women’s 100m hurdles event, which was thrown into disarray after Sally Pearson’s late withdrawal from the final after qualifying with the quickest time of 12.99 seconds. Pearson, who is the 2017 World Champion in 100m hurdles, said that after the heat she felt particularly exhausted and would not compete in the final. “I’m disappointed, really disappointed, but I’m actually going to listen to my body this year, and when it’s down and can’t move, [I’ve] got to listen to it and move onto the next race,” Pearson said. Pearson’s withdrawal left the winning spot up for grabs, which was snatched up by Mucci ahead of rivals Michelle Jenneke and Brianna Beahan. 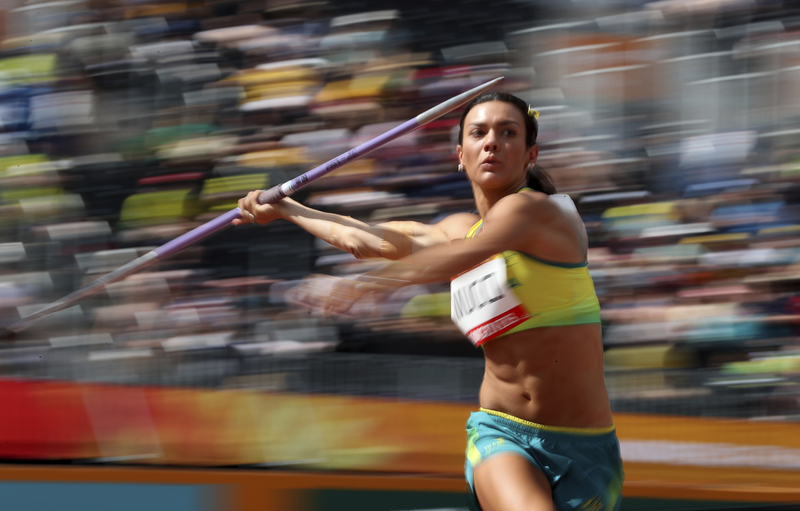 Mucci, who moved to Australia from Italy as a young child and still speaks Italian fluently, admitted that she “had to dig deep to find some adrenaline” for the final hurdle, as she was feeling tired from the heptathlon in the days prior. “I was feeling alright yesterday on my rest day, and then this morning I woke up sore,” she said. It was a personal best for Mucci, who won the event with a final time of 13.09 seconds. After representing Australia at the Commonwealth Games in 2018, she’s now got her sights firmly set on the 2020 Summer Olympics in Tokyo.